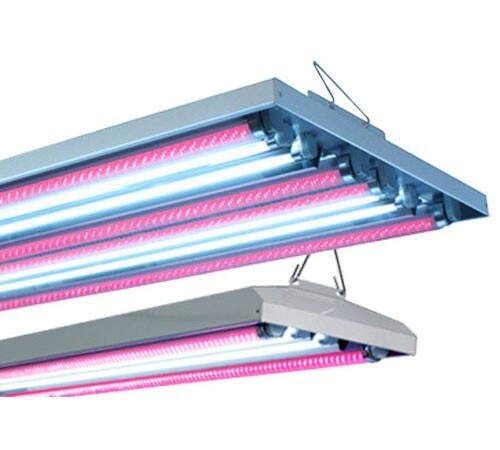 Designed to accommodate AgroLED® LED Tubes - T8 size (sold separately). 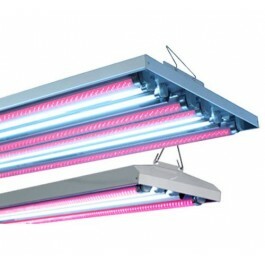 44 accommodates 4 LED tubes and 48 accommodates 8 LED tubes. Complete flexibility to mix & match different colored lamps for desired spectrum. Energy efficient – typical power reduction of 20% or more. Instant illumination on start up. Cool operation allows closer placement to plants. Fixtures and optional lamps are durable and contain no fragile glass. Housing is made of heavy-duty white steel. Grounded 120 volt 8 foot power cord.